When you think about moving houses, there are very few people who do not automatically get stressed. 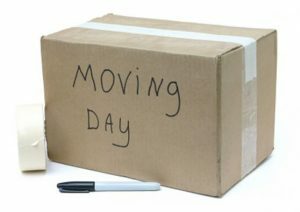 A lot is involved in moving and there is a lot of potential to lose things, break some or completely destroy others if the move is not done in the correct way. This is why you need to get a moving company such as ours to step in and help with the process. It will ease the burden of sorting everything out on your own. There are many challenges that come with moving. The first is how to organize everything and pack in boxes in a way that will make things easier. Very few people have their homes so organized that packing is not a daunting task. The only people who can avoid this are those who live a minimalist life. Even then, you still need boxes to pack your things in and places to carry all the breakables such as glasses and plaques. This might force you to spend money on these necessities. Although you can store them for your next move, they will also fill up your space and gather dust waiting for the next opportunity to be used. We have moving boxes that we will use as we move your things. If you get ours services, you do not have to think about how all your items will be transported as we have all the necessary tools for this. No one likes to pack, especially when you need to do it in an organized manner. You have to pack things and group them according to drawers and rooms. This can take a long time especially because you might end up sorting things out and doing spring cleaning while you are at it. You definitely do not have time for this. We step in to pack everything in your home and group the items according to rooms. Everything is labeled clearly and concisely. This is vital because it will help when it comes to unloading the items into your new home. After packing everything, we arrange the items in the hauling truck in a specific fashion as it will help during unloading. We then provide transport to your new home, whether it is in the area or even in another state. Unloading, unpacking and rearranging things are as difficult as packing. You have to decide where everything goes. It is not uncommon to see boxes that are yet to be opened months after someone has moved to a new home or apartment. 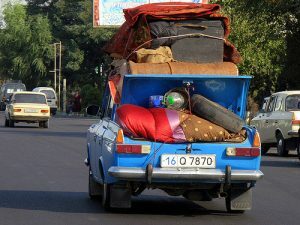 To ensure that this is not you, we unload, unpack and arrange the items in their respective rooms. Residential moving services makes getting used to your new home even easier. You do not have to stress over packing, boxes or unpacking. Additionally, all your things are arranged according to how you want them. This can make the new place feel like home more easily than if everything was unloaded and left for you to unpack and figure out as time goes by.